No need to buy borax or contact solution — Elmer's Magical Liquid Slime Activator easily turns liquid glue into gooey slime with less mess. 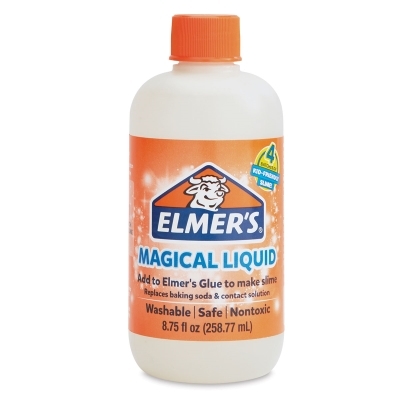 Simply combine ¼ cup of Magical Liquid Slime Activator with one 4–6 oz bottle of liquid glue and stir until blended. The 8.75 oz bottle makes up to four batches of slime. Washable and nontoxic, the slime activator replaces contact solution and baking soda.